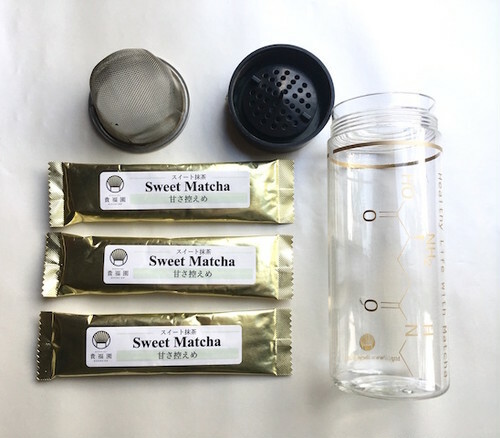 An easy-to-make matcha shaker with three individually wrapped matcha stick packs. Two different stick packs are available: a less bitter, tasty hand-picked matcha powder, and a little sweet matcha powder (including beet sugar). To make matcha, you can use not only water or hot water but also milk or soy milk. You can enjoy matcha latte. It is recommended to those who would like to enjoy drinking matcha every day. The matcha whose leaves are carefully picked by hand once a year has an especially mild-sweet and less-bitter taste. You can enjoy “traditional” matcha in a more casual way and begin a healthier life!